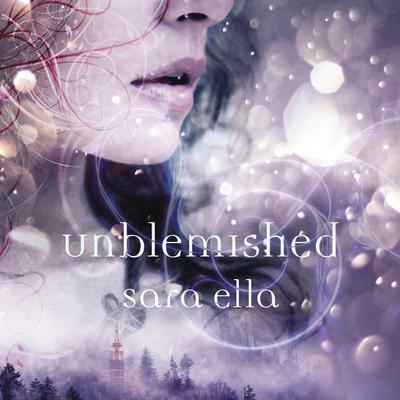 Unblemished - Audiobook | Listen Instantly! “Sara Ella’s debut novel is a stunning journey into a fascinating new world of reflections. Intricately plotted, the story is complex, but not difficult to follow. Eliyana is a strong heroine, yet also has a vulnerable side that readers will definitely identify with. The other characters are also well-developed and have many hidden secrets revealed throughout the course of the tale. Good vs. evil is the overarching theme, and it’s easy to draw parallels with faith. The book is set up for further installments, and it will be fascinating to see where the author takes the characters next.” —RT Book Reviews, 4 1/2 stars, TOP PICK! With plenty of YA crossover appeal, this engaging and suspenseful debut urban fantasy features superb world-building and a tightly paced story line. Reading groups will find plenty to discuss concerning self-image, the nature of good vs. evil, and the power of the marginalized to change the world. Suggest to fans of Tosca Lee’s Demon or Ted Dekker’s Eyes Wide Open.